It’s springtime and National Golfer’s Day; do you need any more reason to celebrate? 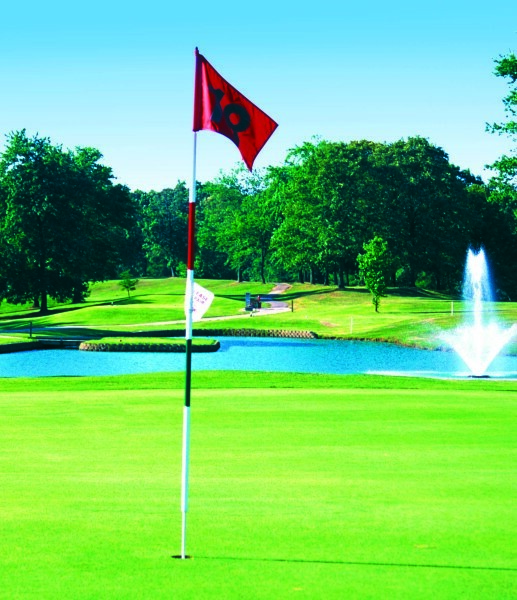 Practice your swing at the par 72, championship golf course, Christmas Lake Golf Course in Santa Claus. Or, head over to Rockport and hit the links at The Rustic. Either way, enjoy the spring weather and new blooms as you dust off the golf clubs and get on the greens. You’re sure to work up an appetite with all of this fun, so head inside Frosty’s Fun Center and grab a specialty pizza (the Buffalo Chicken is my favorite!) or a classic ice cream cone for a snack. Other nearby golf courses include Buffalo Trace and Sultan’s Run in Jasper, Old Capital in Corydon, and the French Lick Resort in French Lick offers two – the Donald Ross and the Pete Dye courses. Looking for more outdoor fun? Check out some ideas here. This post has been updated from April 2016.